Palestinian Prime Minister Rami Hamallah and European Union representative Ralph Tarraf on Sunday laid the pave-stone of the first wastewater treatment plant in the northern occupied West Bank district of Tubas. An EU statement said the "large-scale project" would serve around 34,000 people living in Tubas city as well as the outlying villages of Tayasir and Aqqaba. It is also set to provide treated water for agricultural use for farmers across the district. Tarraf said: "Access to clean water is a fundamental human right. Palestinians are not just facing severe drinking-water shortages but also limited quantities for agricultural use. This comes together with the issue of untreated wastewater which has very negative consequences on health and environment." There has to date not been any sewage network in the area. The statement said that wastewater from Tubas district "flows untreated into the environment reaching agricultural areas and surrounding villages either through the cesspits and vacuum trucks." The project is expected to "significantly reduce health risks for the population of Tubas and contamination of the environment. It will also allow the re-use of treated wastewater in agriculture hence conserving limited groundwater resources in Palestine," the statement said. The 24 million dollar project consists of a wastewater treatment plant, sewage collection network and an irrigation scheme for the reuse of treated water. It is expected to be completed in September 2017. 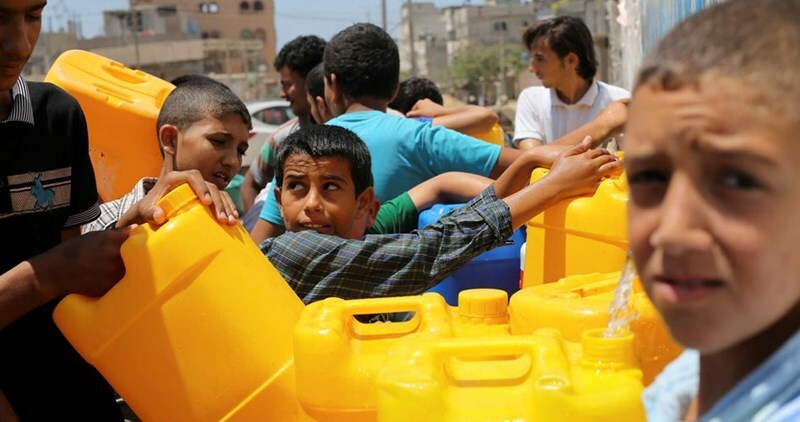 According the United Nation's Office for the Coordination of Humanitarian Affairs, Palestinians in the occupied West Bank have on average access to 60 liters of water per day -- far below the World Health Organization's recommended daily 100 liters of water per person. Israeli rights group B'Tselem estimates that Israeli citizens consume an estimated daily average of 183 liters of water, per person -- three times more than Palestinians in the occupied West Bank. Since 2011, the EU has invested nearly 104 million dollars in the water, sanitation and solid waste management sectors in the occupied Palestinian territory. 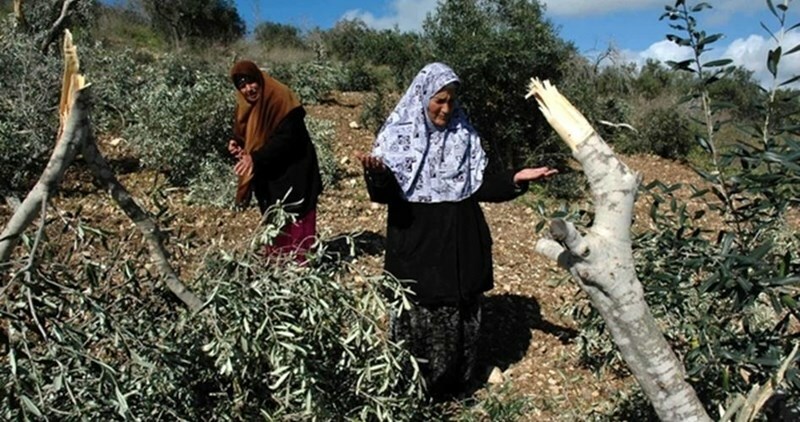 The Israeli Occupation Forces (IOF) uprooted Monday nearly 100 olive trees and seedlings in Deir Estia village west of Salfit to the north of West Bank. Israeli forces are used to expel Palestinian farmers from their lands in order to pave the way for settlers’ presence in the area. Eng. 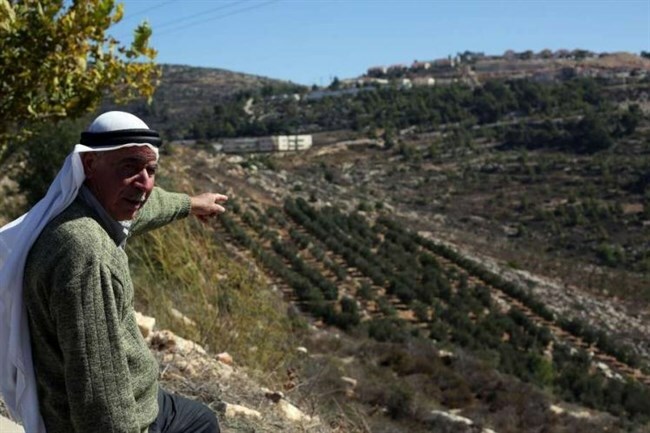 Ibrahim Hamed, director of Salfit agriculture department, affirmed that the IOF uprooted 7-year-old 100 olive seedlings in Wadi Qana area in Deir Estia village and confiscated water tanks. For his part, Khaled Ma'ali, a land expert in the region, said that as part of Israeli Judaization policy, Wadi Qana area has been subjected to systematic attacks in order to expand the surrounding eight Israeli settlements. Thirsting for Justice finds that Palestinians’ access to water is worse, in 2015, than it was in 1995, due to Israel’s discriminatory water regime. Thirsting for Justice released a newsletter on the status of Palestinians’ right to water in 2015. The report explains that, since the Oslo Accords introduced a discriminatory water regime in the West Bank, Palestinians’ access to water has only diminished. Palestinians have currently access to less water per capital than they used to have in 1995… in 2015, the average domestic consumption rate among Palestinians in the West Bank was approximately 40 liters per capita per day (l/c/d), well below the minimum 100 l/c/d recommended by the World Health Organization. In Gaza, the daily average consumption lies at 79 l/c/d. However, most of this water (96%) is contaminated with nitrates and chloride and thus unsafe for drinking. In 2015, Israel demolished or confiscated 39 Palestinian owned water and sanitation structures in the West Bank. Israel even demolished water structures provided to Palestinians by the European Union. Moreover, as a consequence of Israel’s assault on Gaza in 2014, 100,000 Gazans remain disconnected from the water network and 23% of Gazans are disconnected from a sewage network. Israel perpetuates Gazan’s lack of access to water by enforcing the blockade; Israel bans essential materials for water and wastewater projects from entering the border. Egypt’s flooding of Gaza’s border with seawater only exacerbated Palestinians’ access to water in 2015. The seawater has contaminated Gaza’s Coastal Aquifer – Gaza’s sole source of fresh water. The Palestinian Water Authority (PWA) confirmed the continuation of efforts of reconstruction of water and sanitation facilities and infrastructure destroyed and damaged by the Israeli war on the Gaza Strip in the summer of 2014. It pointed out that until the end of last year a number of projects related to this file were implemented. These projects have contributed to the provision of water services to hundreds of thousands of citizens in the affected areas. The Water Authority explained in a report on the reconstruction of the water sector on Tuesday that despite the achievements that these efforts had accomplished during the last period, but it is facing delays and restrictions due to the Israeli siege on Gaza, including blocking the entry of materials and equipment needed for the water facilities and sanitation, as well as the difficulty in securing energy and fuel needed for the operation of these facilities. Reconstruction in the water sector efforts also faces a shortfall of more than $11 million, according to the PWA. It said that, "we are working very hard in order to provide this amount of money for the financing of reconstruction, rehabilitation, maintenance of destroyed and damaged facilities, and for purchasing the necessary equipment. Furthermore, there is a need for $10 million a month to maintain a minimum of required services running." After the war, a series of projects were implemented aiming at the reconstruction and rehabilitation of various damaged and destroyed facilities, including full and partial repair of 23 out of 26 wells, as well as eight water tanks of the 12 fully or partially-destroyed tanks, and the rehabilitation of six small desalination plants and 34 km out of 46 km of the devastated water network. With regard to sanitation facilities, 14 km of destroyed sewage networks and three serving treatment plants have been rehabilitated, in addition to 10 sewage pumping stations, 2 of which were completely destroyed while 8 were damaged partially. With regard to the rehabilitation of operation and maintenance equipment, six heavy machineries (out of 15 machineries) for the operations of the sewage facilities were purchased, but had not been functioning yet. 50 spare generators for the water and sanitation facilities were replaced, while 211 spare generators were repaired, in addition to the maintenance of 55 per cent of administrative buildings. The PWA pointed out that spare parts for maintenance of various facilities for sanitation were supplied, diesel fuel to run them was purchased, as well as the supply of necessary quantities of chlorine for water disinfection, in conjunction with that, a plan to protect water sources was prepared, while a study on the assessment of the environmental impact of the war on water resources is under preparation. During the war, which lasted 51 days, more than one-third of the residents were deprived of water services as a result of the Israeli direct targeting of water facilities and infrastructure, and the power supply was cut off due to the Israeli direct targeting of power grids lines and the bombing of the only power station in Gaza. The loss in the water and sanitation sector was estimated at about $34 million. 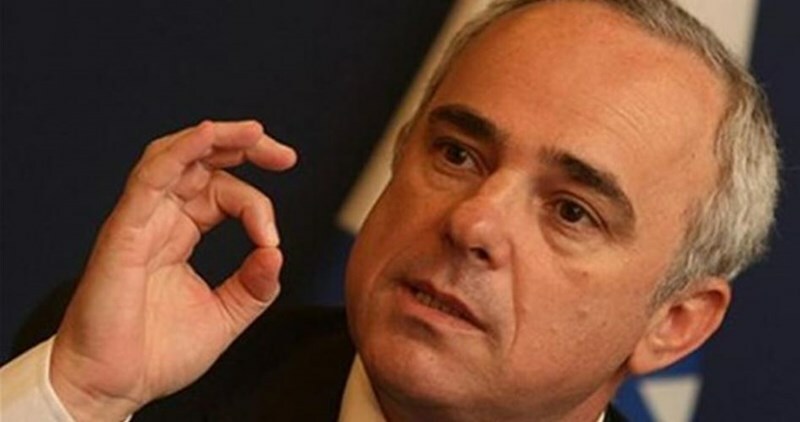 Israel’s energy minister Yuval Steinitz called for following the Egyptian model of flooding Gaza border in order to find out and destroy resistance tunnels. Minister Steinitz said Saturday during an event in the southern city of Beersheba that the Egyptian military had flooded several tunnels beneath the Gaza Strip’s southern border at Israel’s request. The energy minister said that Egyptian President Abdel-Fattah el-Sissi had ordered the destruction of numerous tunnels built by Hamas at Israel’s request. "Security coordination between Israel and Egypt is better than ever. The best means to end the threat of Hamas Gaza tunnels is flooding the border with water”, Steinitz said. 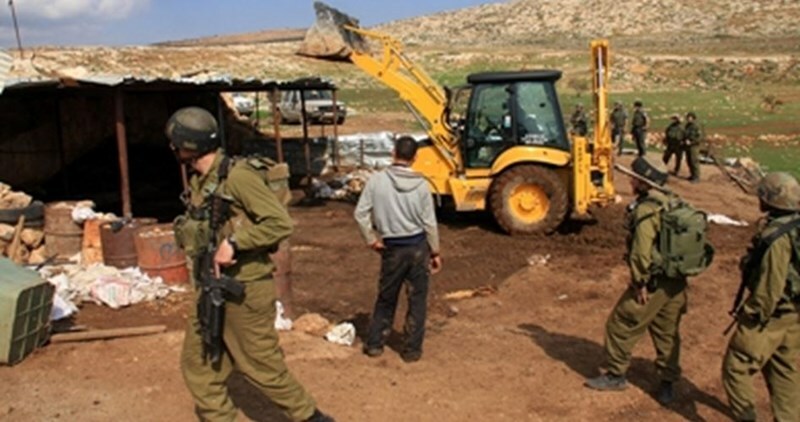 The Israeli occupation authorities (IOA) on Sunday gave orders for immediately halting the digging of a water well in the southern occupied West Bank province of al-Khalil and seized a set of digging equipment. Coordinator for the popular anti-settlement committee in Yatta town, Rateb al-Jabour, said the occupation troops rolled into al-Mafkara area, near the illegal Israeli settlement of Avijal, near Yatta, and obstructed the construction of a water well belonging to the Hamamda family before they ceased digging tools owned by contractor Muhammad al-Hamamda. 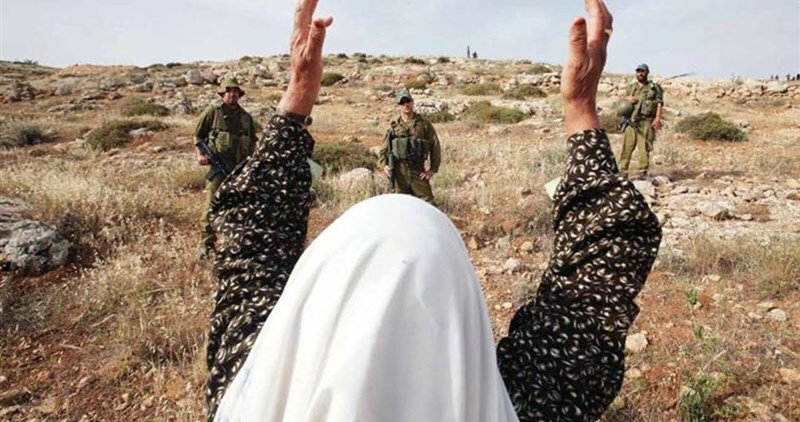 Al-Jabour added that the Israeli occupation army and settlers have often resorted to such policies to mar Palestinians’ lives in Yatta town and force them out of their own and only lands in favor of illegal settlement expansion. The European Union is considering demanding compensation from Israel for its demolition of civilian buildings donated by the EU to Palestinians in the West Bank as part of its humanitarian aid, Haaretz reported Thursday. “We know that the EU is considering demanding compensation from Israel for the destruction of projects with European funding, and everything related to accusing Israel of violating humanitarian law on the matter,” the head of the Foreign Ministry’s European Organizations department, Avivit Bar Ilan, told the Knesset Foreign Affairs and Defense Committee. According to Haaretz, Bar Ilan refused to elaborate on the dialogue between the EU and the Foreign Ministry on the matter during the session because the committee meeting was not in-camera. MK Moti Yogev, who chaired the meeting, noted that the committee had been told in a previous session that EU nations were spending 110 million Euros on such projects. The committee was shown a film shot from the air of mobile homes and portable toilets outside of Ma’aleh Adumim, in the E-1 corridor linking the illegal settlement and Occupied Jerusalem, reportedly built with EU funds. The deputy head of Israel’s Civil Administration, Uri Mendes, told the committee that 974 structures were built in the E-1 area during 2014, of which 408 were demolished. “Everywhere, when the possibility exists, demolitions are carried out,” said Mendes. The EU and international aid organizations have dedicated a large amount of their activities to humanitarian and diplomatic efforts in Area C in recent years. They say that Israeli restrictions on connecting Palestinian communities to water, electricity, and transportation infrastructures are contradictory to Israel’s responsibility as an occupying power. The Israeli plan to force the Palestinian native residents out of the area and settle them in other communities, as well as to destroy various communities in the southern occupied West Bank and in firing ranges, is described by the EU as a “transfer of population and forced expulsion,” which are banned under international law. The Israeli occupation forces (IOF) razed on Thursday morning, a number of agricultural facilites in the town of Irza in the northern Jordan Valley, funded by European institutions. 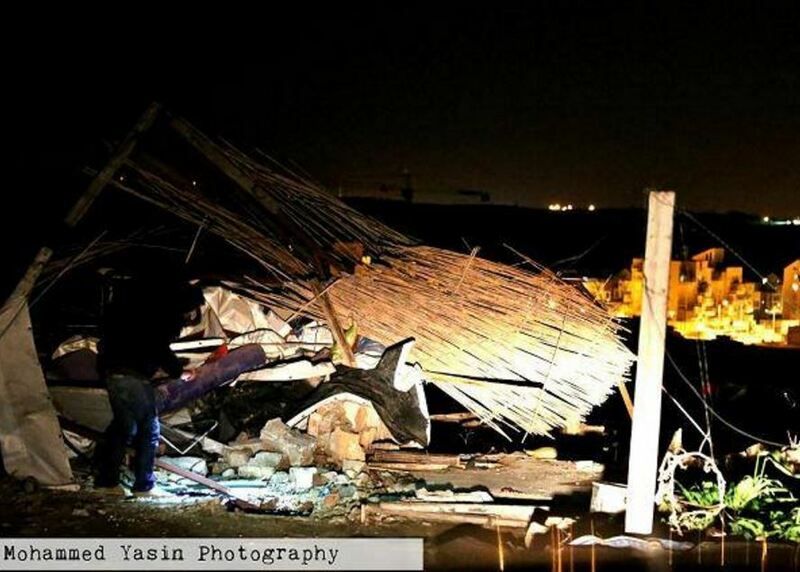 Local sources told the PIC reporter that the IOF demolished four agricultural greenhouses in the Ainoun area of Irza under the pretext of being built without permit. The IOF also demolished water well donated by the Italian Church for the delivery of water to the citizens that has been built with the approval of the Israeli occupation authorities (IOA). 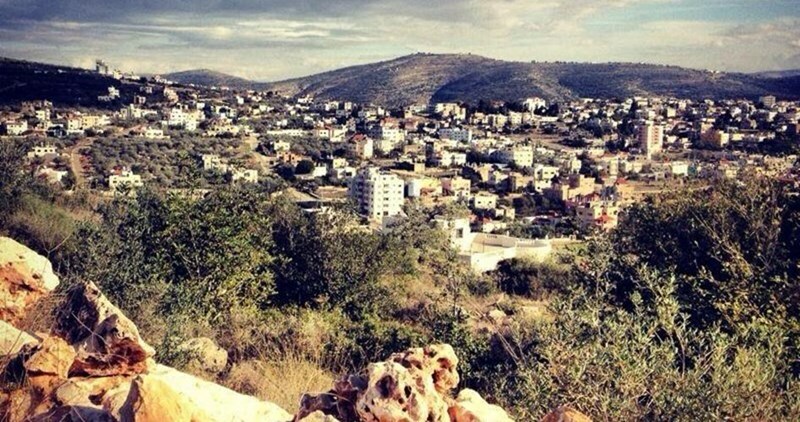 Activist Mohammed Abu Mohsen, a citizen in the region, told the PIC reporter that the IOA does not recognize Khirbet Irza and describes it as an unrecognized gathering that must be removed. The IOA turned the hamlet into a closed military area planted with landmines which led to the death of a big number of Bedouins living in the area. 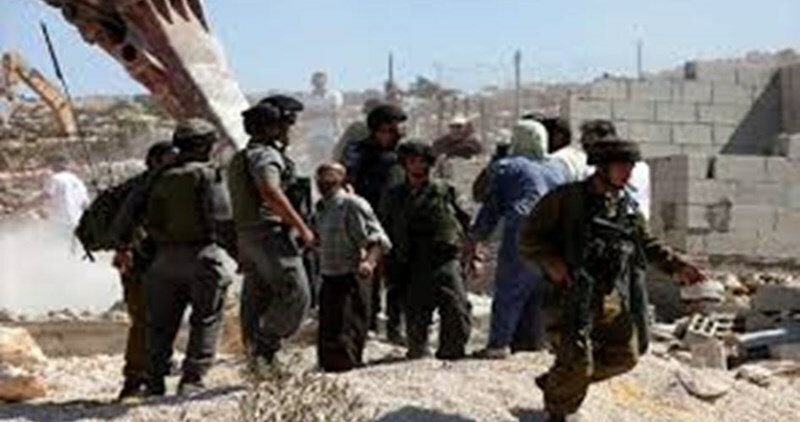 He pointed out that the IOF had previously carried out many demolition operations in the area, including the demolition of a large number of houses and barns which resulted in the displacement of a large number of the population, even the sole mosque in the hamlet was repeatedly destroyed. Khirbet Irza is located 10 km east of Tubas in the plains of Bokayaa, and is inhabited by nearly 12 families (100 individuals), those who remained of its original inhabitants who were previously counted in hundreds and who used to work on farming their agricultural lands estimated at 25 thousand dunums.